This is the first of several posts to feature unpublished working drawings for maps included in Everything Sings: Maps for a Narrative Atlas by Denis Wood. 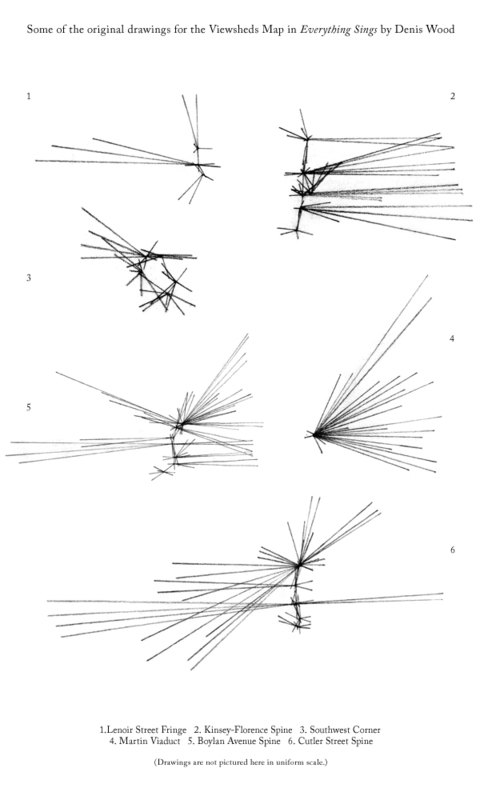 (Look for posts of new Boylan Heights maps by Denis Wood, out in May) In Everything Sings, Wood exuberantly subverts traditional notions of cartography by discovering new ways of seeing the very intimate spaces in which we live. This unusual atlas surveys his small neighborhood in North Carolina, mapping what has never been mapped or may not even by mappable. 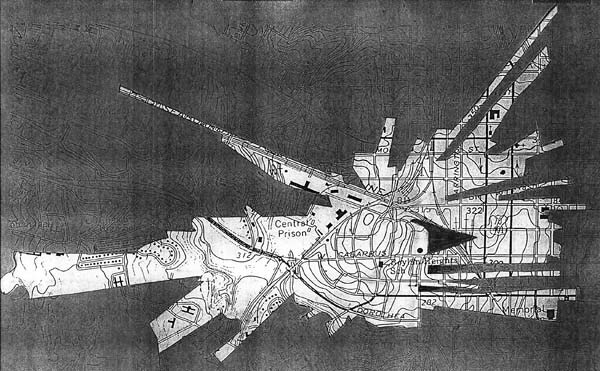 In his pursuit of a “poetics of cartography,” Wood exalts useless knowledge, turning his attention to the experience of place, as each map attuning the eye to the invisible, overlooked, and seemingly insignificant. 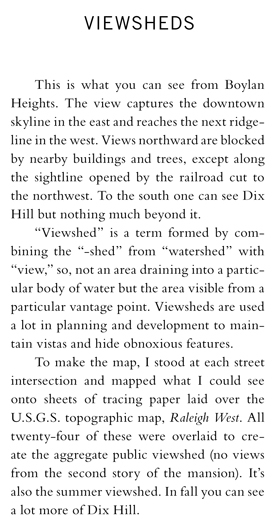 Below are the “viewsheds” map and description from the book, followed by a set of unpublished drawings that map the sight lines from various points in the neighborhood.